What is Bulk Material Handling Equipment? Bulk material handling equipment is used to transport, process, and package bulk materials, like powder bulk solids, before sale or shipment. There are many different types of bulk material handling systems which are distinguished by the types of applications for which they are used and the kinds of materials they are constructed to handle. What kinds of equipment are used in a bulk material handling system? An unloading station. The system must have an access point where materials can be discharged into the system. This portion of the system can take many forms, ranging from railcar unloading stations to a simple bag dumping station. A conveying system. Most often bulk material handling systems utilize pneumatic conveyors, but other systems use screw conveyors, bucket elevators, or drag chain conveyors. Many systems use a combination of two or more of these different conveyors. Material storage equipment. From huge storage silos to small bins or hoppers, a bulk material handling system should have a location where materials are stored until they are needed for processing. Batching equipment. 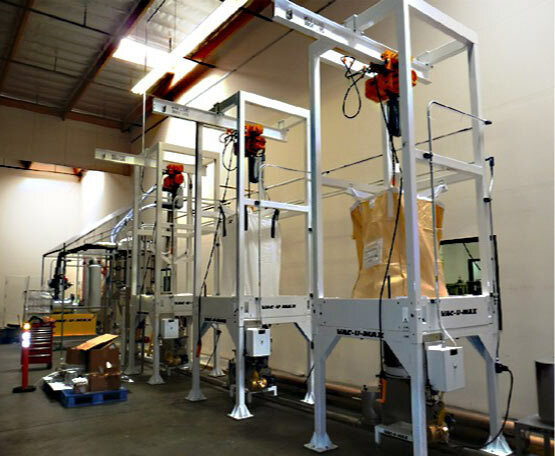 In order to utilize bulk materials efficiently, batching equipment is used to accurately dispense bulk materials for processing and for packaging. 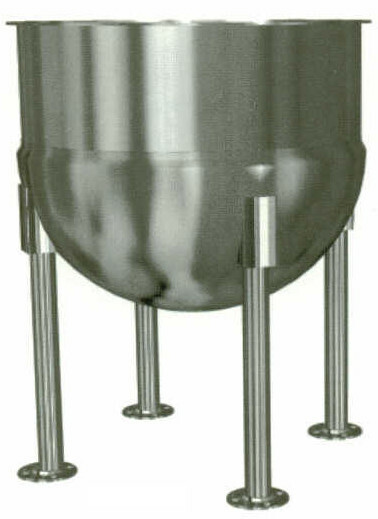 A filling or packaging station. Once the bulk materials have been processed, the system needs a method for offloading the final product for packaging, shipment, or sale. 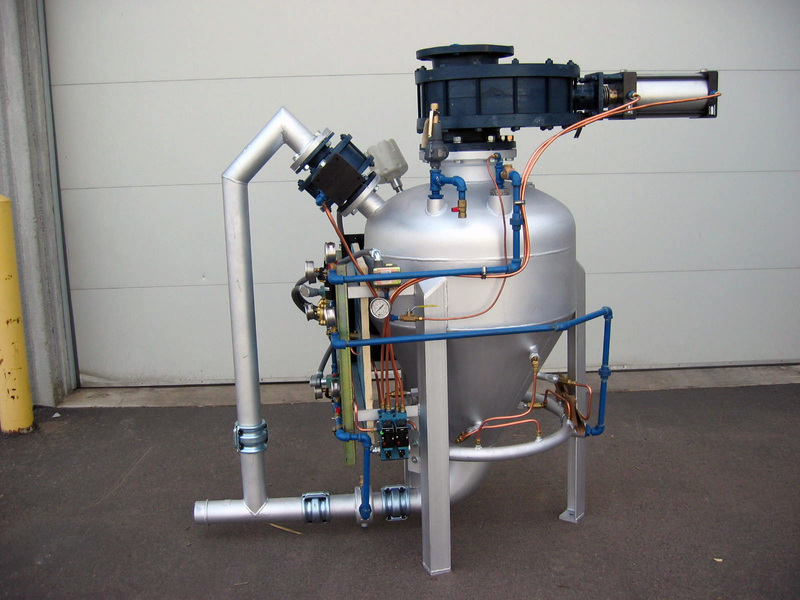 While practically all bulk material systems incorporate these main kinds of equipment, each system may use slightly different variations of the equipment and incorporate additional components to fit the specific needs of the application at hand. For example, in a food processing facility, a bulk material handling system would most likely use large storage silos instead of smaller storage bins, since they often handle such large quantities of grains, powders, and other materials. This sort of facility would also include mixing equipment in addition to the equipment above to thoroughly combine ingredients. Additionally, some systems are designed to better transport and handle materials comprised of very small particles, while others efficiently convey larger granules. These systems can be highly customized to fit the specific requirements of a given task or process. What factors should I consider when assembling a bulk material handling system? 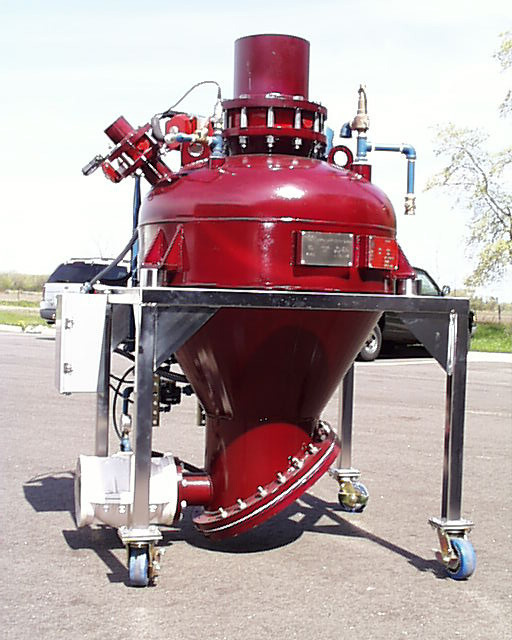 There are a number of considerations that have to be made when bulk material equipment or systems are being installed. Experts recommend conducting extensive material tests before purchasing equipment so that the necessary processing qualities can be understood. For example, some particle densities actually change at different stages of the material handling process, so it should not be assumed that each piece of equipment will function efficiently at the same density level. Abrasive materials cannot be transported in the same way that a sticky material would be transported, for example. 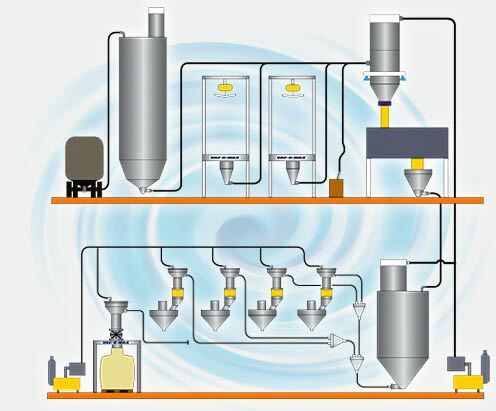 Some materials may transport more effectively using dense phase conveying, while others are effectively transported with dilute phase conveying methods. While these considerations are most vital for conveying systems, they do also affect other handling components, but to a lesser extent. Particle size and cohesion affect how materials can be combined together and can affect how the material is dispensed. 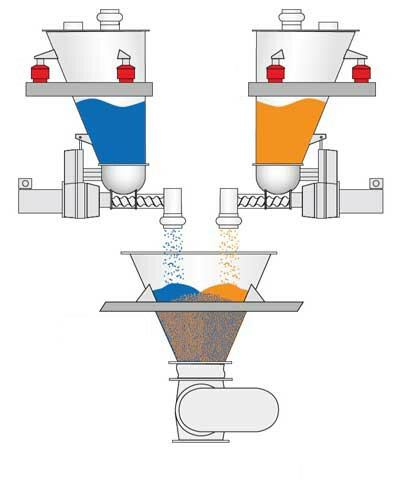 Which means that material properties should also be considered for batching equipment, mixers, and material feeders.